So I promised you all you’d see more men’s subscription boxes and today I’m delivering. 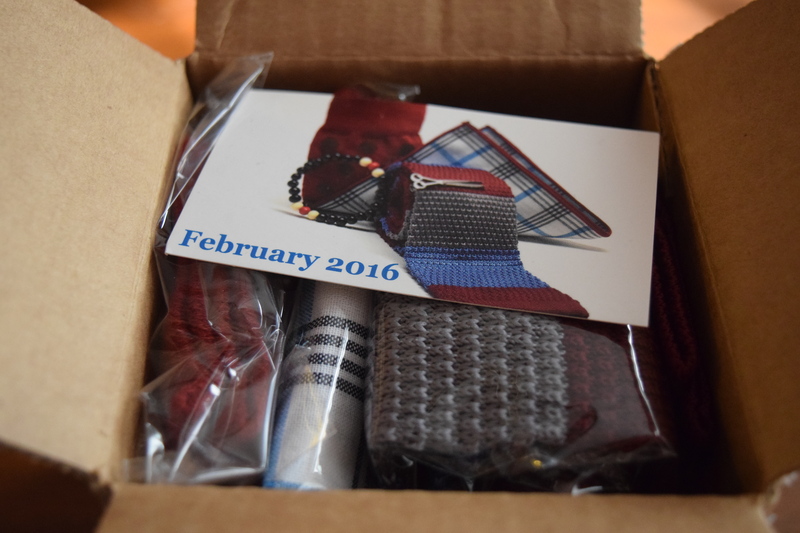 The lovely folks at Harrison Blake Apparel Co. graciously sent me their February box to review. This box costs $25 per month and shipping in the US is free. This sub ships to Canada and internationally but that will cost additional in shipping. For 30% off anything on the Harrison Blake website use code MAR11 at Checkout. Now let’s check out the box. Super cute logo. 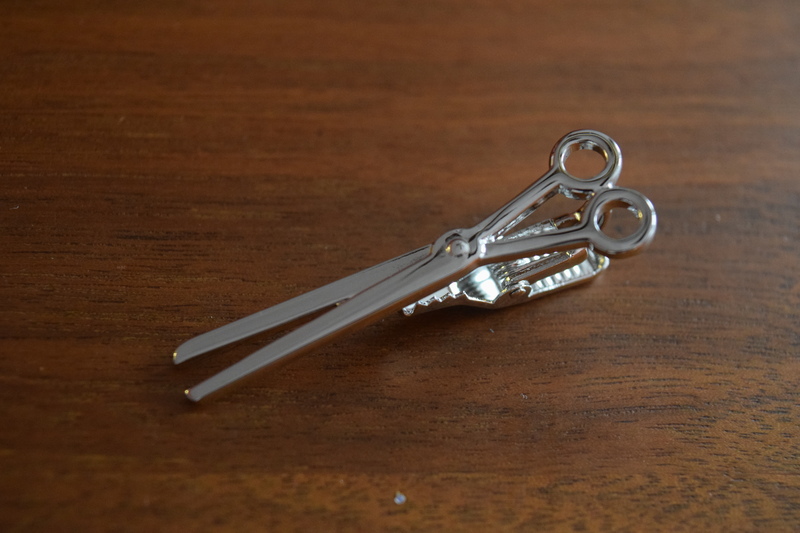 I thought this was a really fun and unique tie bar. Definitely not a run of the mill style. 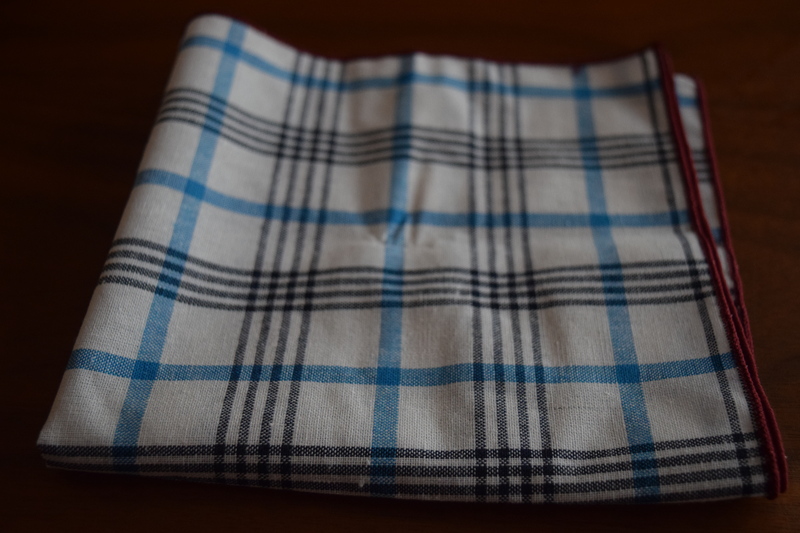 I loved the print on this pocket square and the finishing at the edge is really lovely. Definitely a nice quality item and I think I’ll be stealing it for myself and keeping it in my purse for a classier alternative to a Kleenex. 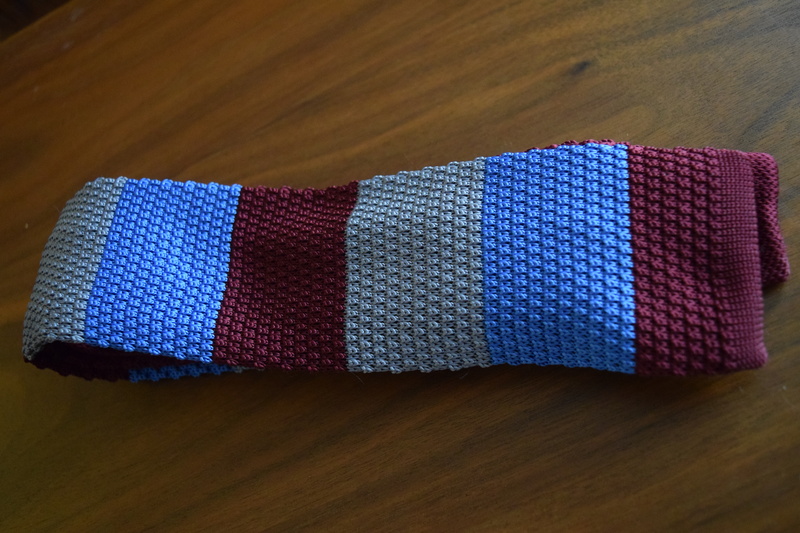 I thought this tie was another unique style and had some hipster type charm to it. It’s a younger style and I think it’s definitely a fun choice as we head into spring. I couldn’t find these on the Harrison Blake website so I’m going with the value listed on the included card. 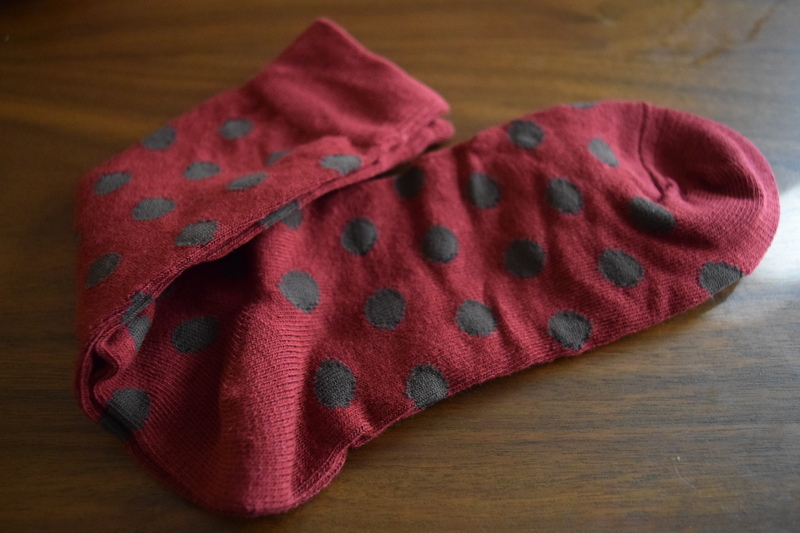 I’m a sucker for polka dots and these coordinate nicely with all the other items. This one also wasn’t available on the website so I’m using the value from the included card. 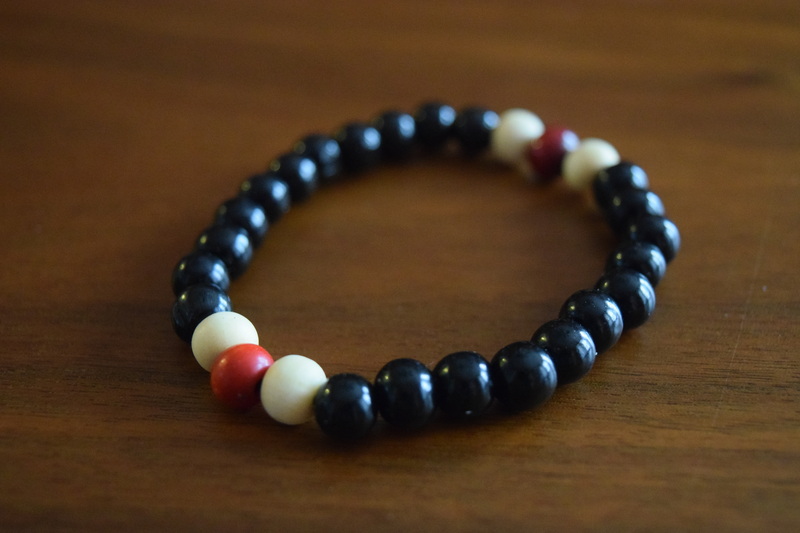 I don’t know too many guys who wear these style bracelets, but this one seems comfortable and matches back with the other accessories. Obviously I’m not a guy so I can’t really review this the way I do a lot of my other boxes. So to start with let’s look at the value. The cost of the box is $25 and I get a estimated retail value of $67. Now that can be tricky since these items appear to be exclusive to Harrison Blake, however just looking at the quality of what’s included I do think $25 is more than a fair price for this box. I really like that the accessories have more unusual styling than a lot of other boxes I’ve seen. These seem to skew a bit younger and more fun and I appreciate that they all coordinate with each other. The March box is currently sold out, but I’m sure there will be more available for April. If you know a guy who has a lot of fun with his accessories, I think he’d really enjoy this box. 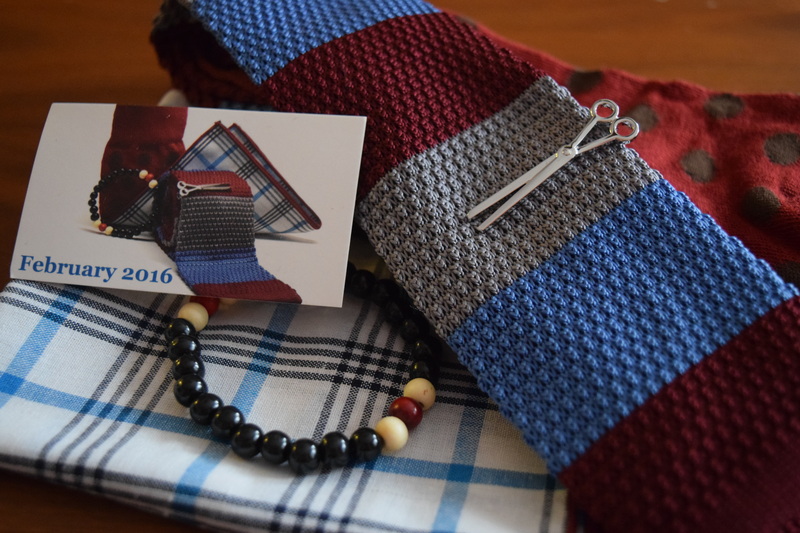 Do you any of the men in your life purchase subscription boxes? If so, which ones? Canadian shipping is a flat rate of $12. 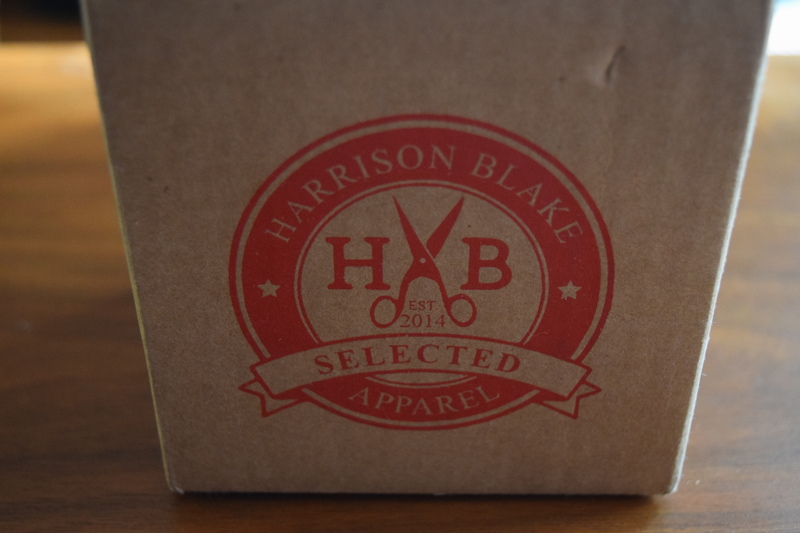 COUPON CODE: For 30% off anything on the Harrison Blake website use code MAR11 at Checkout. Previous article	← Popsugar: January 2016, Continuing Customer Service Fails & March Spoilers!